Keith Williams is the Service Department Director and an Associate in Marketing and Sales with Buzard Pipe Organ Builders, LLC, since 2000. He is a member of the American Institute of Organbuilders, the American Guild of Organists, and the Organ Historical Society. He holds a Bachelor of Music from Oberlin College Conservatory of Music in Organ Performance, 1976. 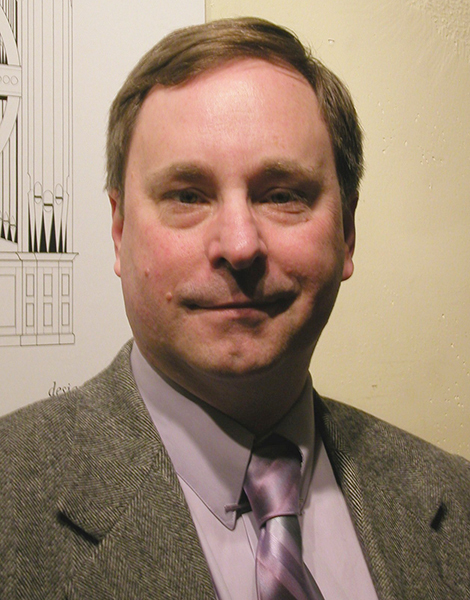 He has previous experience with Carey Organ Company, Emma Willard School, St. Paul’s Episcopal Church, the College of St. Rose, and St. John Lutheran Church. Mr. Williams directs our staff of technicians in all aspects of maintenance, tuning, restoration and rebuilding of extant organs. By virtue of his wealth of understanding of historical instruments, and his experience as a church organist and recitalist, Mr. Williams is a valuable member of the Project Team during our in-house discussions of how to best restore portions of existing instruments which may be retained in new work from time to time, and how our style embraces the literature and the Liturgical uses to which our instruments will be put.